When I was on a Gospel for Asia vision tour in South Asia a year and a half ago, I met a woman named Mina, who was affected by leprosy. Mina told me her story. She had suffered from the disease for 40 years, and lived for most of that time in colonies with other people suffering from leprosy. Her husband had died, and her son lived outside the colony, only visiting occasionally. To earn some money to pay for her medication, Mina had to beg. Every day from 5 a.m. to 11 a.m., she would beg outside a local religious site. 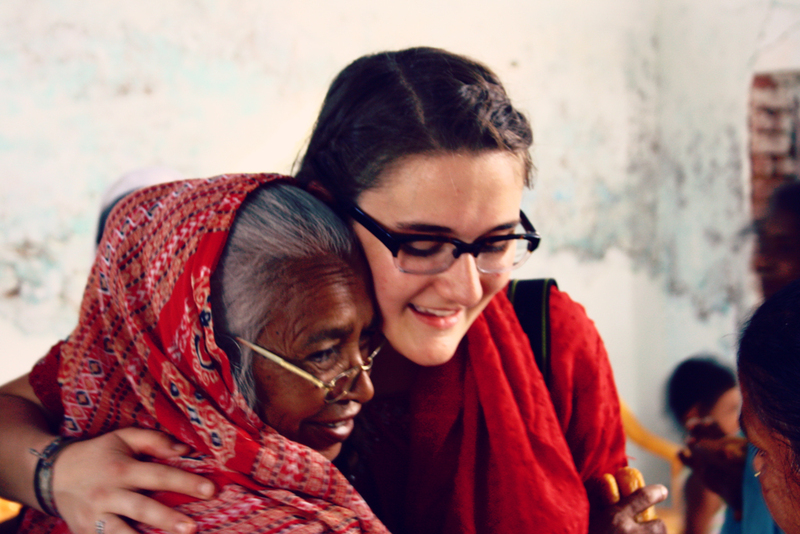 This visit to the leprosy colony was one of the hardest parts of the trip. Most of society has shunned these people, and there was so much suffering, so much despair. But we met a group of missionaries who loved and cared for the leprosy patients. They ministered to their needs in both practical and spiritual ways, like cleaning their wounds and praying for them. We saw a glimpse of hope being poured out. Hope in this place of suffering is almost a paradox. Mina, the woman I met, smiling with genuine joy? The men and women who said they were encouraged by our team’s visit? A man who prayed to the same God I worship? But it’s true. And it’s only because of the love of Christ working through the missionaries serving there; His love touching the lives of the suffering; His love displayed through my team members. I’d like to leave you with this quote from Pastor Jiva, a missionary who started leprosy ministry in another region of South Asia. Dedicated missionaries like Pastor Jiva are reaching out to people afflicted by leprosy in South Asia, touching their lives with the love and care of Christ. This ministry takes place not only on World Leprosy Day, but also on every other day of the year. We can be part of impacting their lives with hope, too! 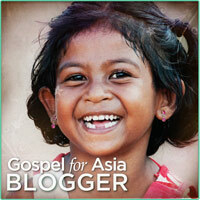 Visit Gospel for Asia’s Leprosy Ministry page here. We often forget about leprosy. While it’s not something that affects our day-to-day life here in North America, leprosy impacts the lives of thousands across the globe, in places including Somalia, India, China, and Sri Lanka. I recently saw this with my own eyes, during my 2 week trip to South Asia. 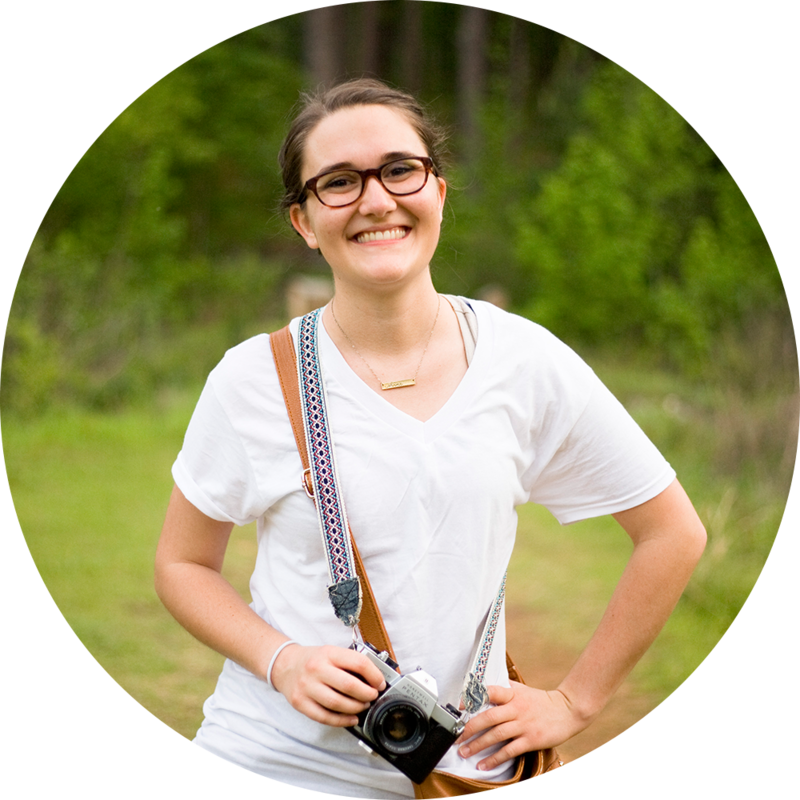 In a leprosy colony, I met a woman named Mina whose life and story deeply impacted me. You can read more of that story in this blog post. Society tells leprosy patients that they are outcaste. Untouchable. Worthless. Unloved. Many cultures shun them and cast them aside. So it is these people – precious in the sight of God – that we want to reach out to with the tangible love and hope of Jesus Christ. 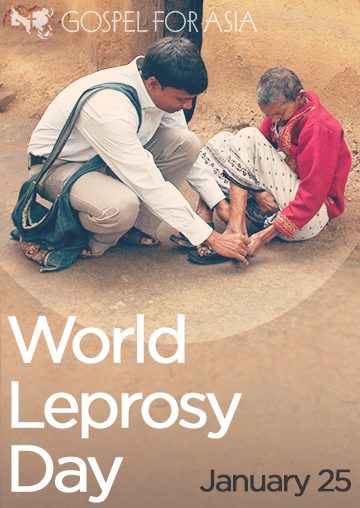 World Leprosy Day 2014 is marked on January 26th, or the closest Sunday to January 29th. This year, from January 26th to 30th, missionaries are reaching out with medical help, food, and other outreach in some leprosy colonies in South Asia. They are bringing A Love They Can See. So go ahead and find out more about this ministry and World Leprosy Day at www.gfa.org/news/articles/world-leprosy-day-a-love-they-can-see.